Transportation Law is specially designed for students pursuing a three-year or five-year degree course in national law schools as well as other law education institutions. 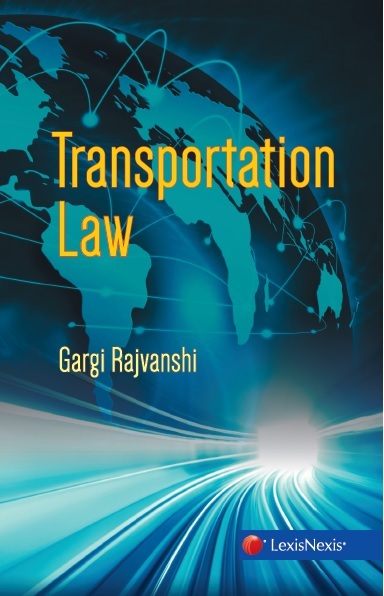 The text has been written with the broad objective of understanding the significance of transport in human life and analyzing the present status of Indian laws on regulating the transport sector in India. Beginning with the importance of legal regulation in the transport sector, it goes on to cover regulations governing transport by roadways, airways, waterways, and railways, including international conventions where applicable. Finally, it discusses contemporary issues in the transport sector such as the aims and objectives of the draft Road Transport and Safety Bill, 2014.